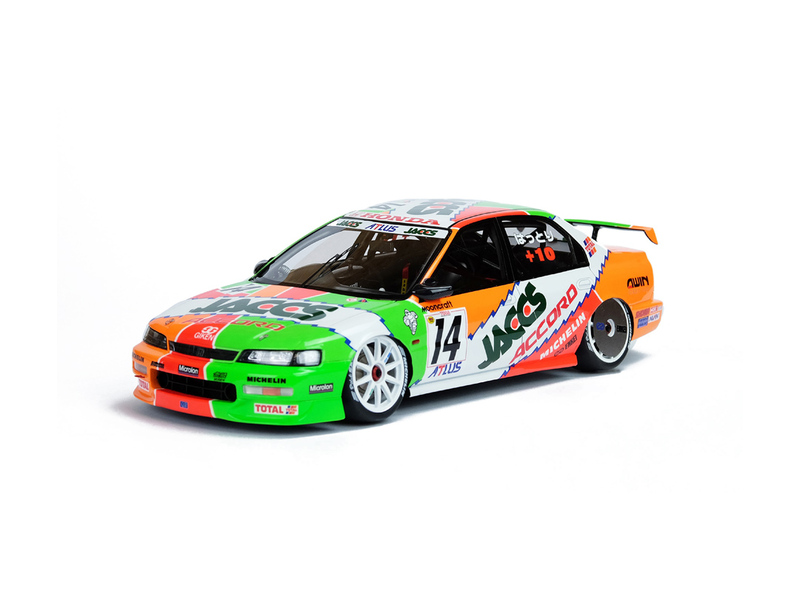 MOONCRAFT team sponsored by JACCS, #14 driven by Naoki Hattori, witch took part in the 1996 JTCC (All Japan Touring Car Championship). Over all Champion in 1996 JTCC season. 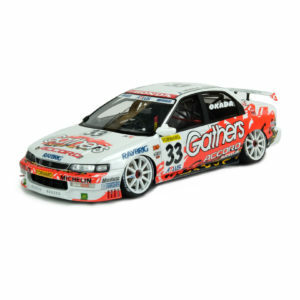 The model is manufactured with resin material with no openings. 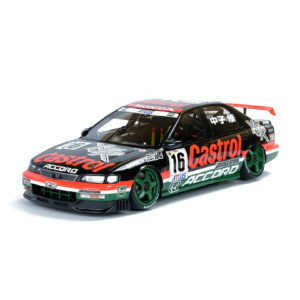 You can enjoy a lot of small details on the model such as finest clear coating painting over the decals, lowered car height with camber, carbon effect parts, photo etching parts and all interior small details. The elegant finished model is coming with leather base and acrylic clear cover case.